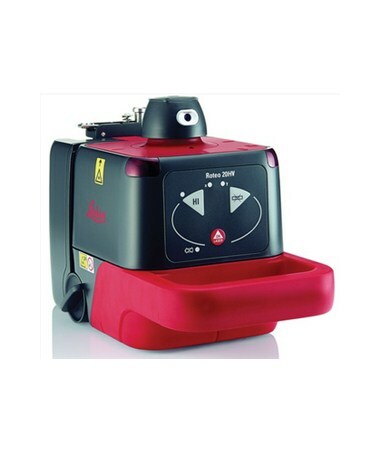 The Leica Roteo Series Red Rotary Laser features a range up to 500 feet with laser receiver which is practical for indoor and outdoor projects like wall and ceiling installation, right angle marking and window alignments. It comes with an accuracy of ±1/18-inch at 100 feet and is self-leveling within ±4.5 degrees. The Roteo series emits a beam with 360-degree rotation plus a 90-degree plumb beam. 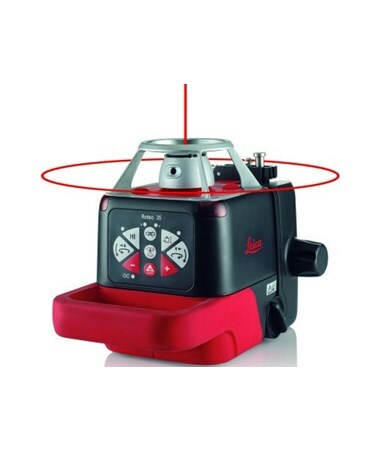 The Leica Roteo lasers feature a fully automatic laser which spontaneously self-levels to compensate for tilts. Having a brushless motor, the drive moves the laser head that manually directs at a target object. 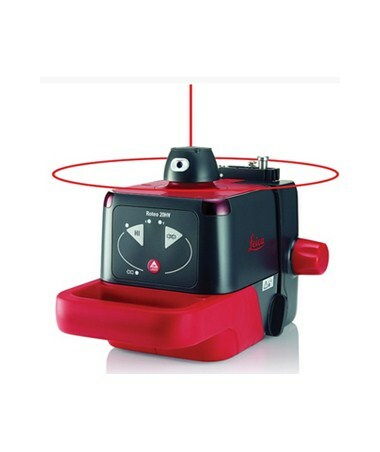 This rotating laser comes with an alarm function that indicates that an error has occurred and automatically turns the laser off. 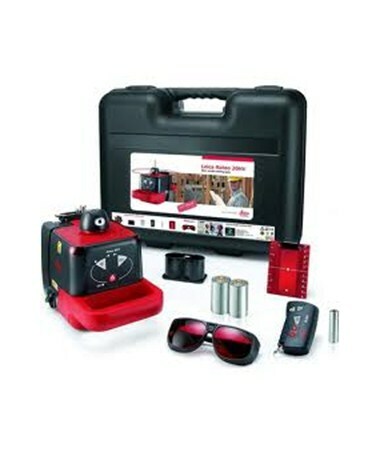 Also, it uses a Class 3R, 635-nanometer red laser that is visible even under harsh weather conditions. Built with a strong aluminum cage, the Roteo lasers features a drop damage protection protecting the laser head from damage. It has an IP54 rating which makes the laser dustproof and water resistant. In addition, it has a battery life of up to 50 hours with rechargeable NiMH batteries and up to 160 hours with alkaline batteries. 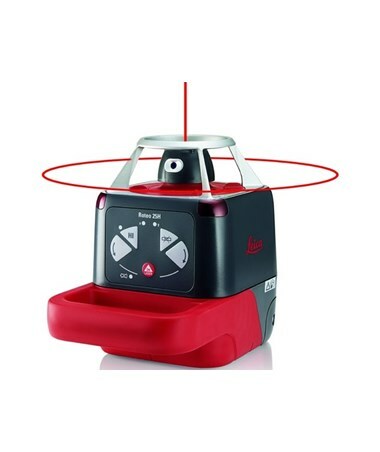 The Leica Roteo Series Red Rotary Laser offers three packages with varying features. Please choose from the drop-down menu above. This package is the basic model that includes a manual wall mount bracket, RC350 remote control, AA battery for the remote control, a battery holder for alkaline batteries, and batteries for the laser. 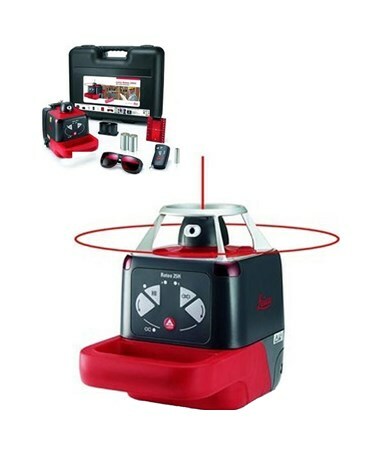 This package is the horizontal laser that includes R250 detector with clamp, 9V battery for the detector, battery holder for alkaline batteries, rechargeable batteries, and an international charger. 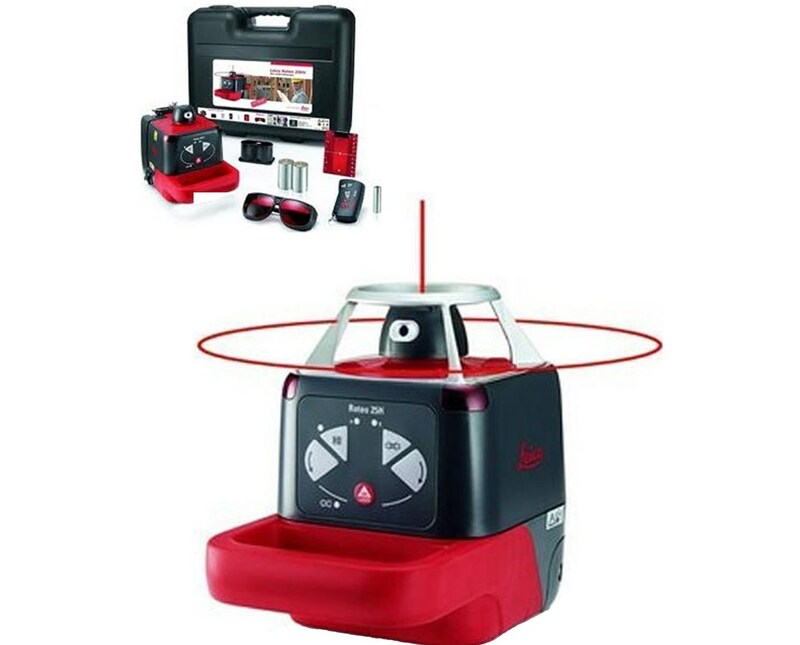 This package is an all-in-one rotating laser that includes a motorized wall mount, RRC350 combined remote control and receiver with clamp, 9V battery for the combined remote control, battery holder for the alkaline batteries, rechargeable NiMH battery pack, and an international charger.